Over the past 30 years Kuhl has been working to position itself as one of the most premium and trusted American apparel outdoor brands. With its new-release men's Rydr pant range, it has focused on the relationship between form, function and craftsmanship when it comes to lifestyle apparel. The pants feature Kuhl's signature stealth pocket – ideal for your phone or wallet, and are constructed from an exclusive combed cotton Euro twill blend to ensure durability without compromising look and feel. 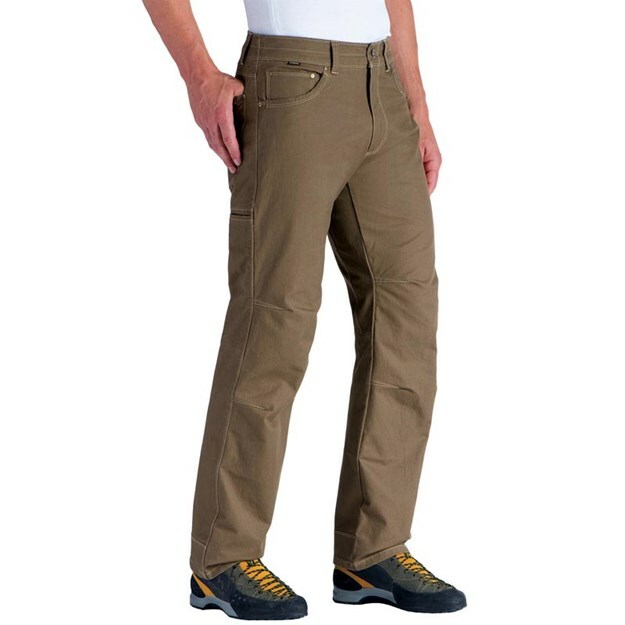 The pants also include Kuhl’s Born Free™ gusseted crotch and articulated knees, which allow you freedom to move. The double needle bar tacks add reinforcement at critical junctions and scuff guards on the cuffs of the pants reduce typical wear and tear. Kuhl's Rydr pants are crafted using fabric that is soft, yet tough, and will not shrink, and the five reinforced front and back pockets will safely house any valuables. They are available in 30in to 34in inseam, and a range of colours that include khaki, gun metal, espresso and indigo. For heavy-duty pants that actually fit properly, move with your body and last longer than ever, it's hard to go past the Kuhl Rydr pant range.